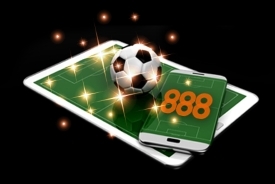 The 888 Ultimate Sport Betting guide is the most comprehensive and user-friendly guide to sport betting available anywhere online. This guide is for anyone interested in sports betting online, from the casual punter to the serious, experienced sports bettor. It serves as an introduction to sport betting for novices, and as a guide to more in-depth sport bets for those with more experience. This guide begins with an introduction to what sport betting is, before running through in detail various types of online bets. It then moves on to focus on individual sports, for example football betting, and the sort of bet that usually applies to them.